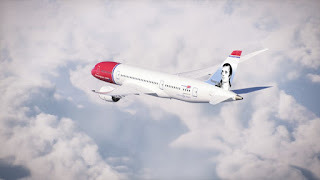 Norwegian Air Shuttle, known as just 'Norwegian' has confirmed details of its plans to launch a fully underwritten rights issue of NOK 3 billion (£268,483,072) in order to increase its financial flexibility and strengthen its balance sheet. The news comes after Willie Walsh, the head of the International Airlines Group - owners of British Airways and Iberia, has said ILG will now no longer make a third bid for the low-cost airline and sell the 3.93% stake it still has in the airline. Last year, IAG secretly purchased 4.6% of Norwegian shares and made two bids to take over the carrier, both of which were refused, as they seriously undervalued the airline and its prospects, according to Norwegian's management. It also follows revelations that the popular long-haul low-cost carrier made an operational loss last year of around NOK3.8 billion in a year that saw mass expansion for the carrier. Now it plans a period of reflection and cost-cutting rather than the excessive and aggressive growth that the company has maintained in recent years. The share issue will happen in the coming months and is likely to go through without a hitch at an extraordinary general meeting of shareholders on 19th February 2019. Shareholders, representing 33% of the shares have undertaken to vote in favour of the rights issue and a number of those shareholders, including Kjos, have already agreed to buy more shares and bolster the companies piggy bank. Norwegian has, in no small part, transformed the low-cost long-haul market, forcing many other airlines on offering transatlantic flights to look at their own offerings, with some making changes. 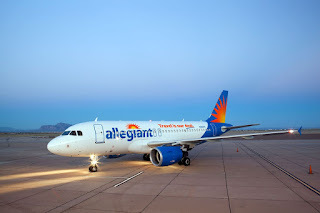 The airline has expanded rapidly and despite recently announcing the closure of some bases and the axing of some routes that hadn't performed as well as expected, is still looking to a gloriously rosy future. However, could that future lie in a tie-up with another airline? Possibly, Norwegian's management have said they have had meetings and talks with a number of different parties at various levels, yet nothing publically has come of those discussions. The airline has big debts, it needs to return to profit soon, however with the new cash injection the share deal will bring, will keep the carrier flying for another year.